A free, fun, family event for everyone! 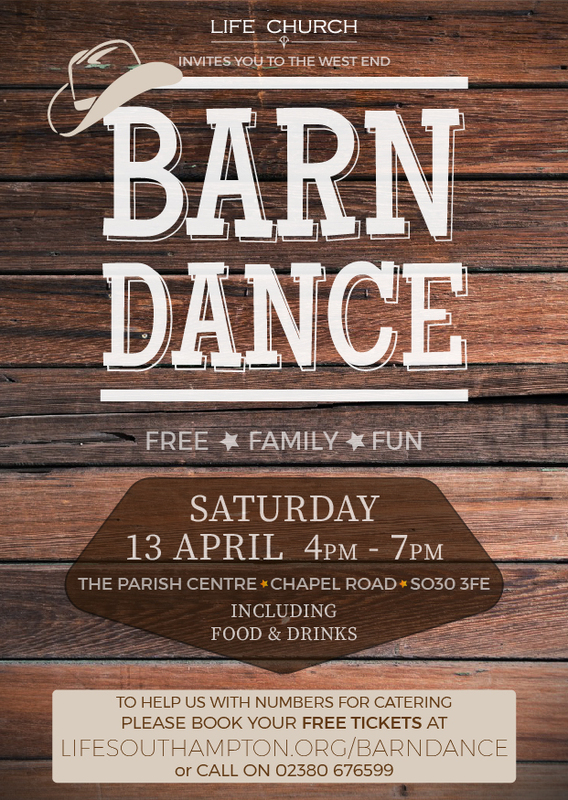 Life Church West End are hosting a free Barn Dance for anyone wishing to join in. No experience necessary and dances are done in groups, so no need to find your partner before event. During the interval we will be serving refreshments, including a hot dog dinner.